Hello friends! I hope you have had a great week... but isn't it greater still when it's Friday?!! LOL! 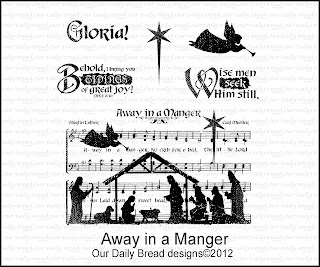 Today I have a quick card to share that I made using Our Daily Bread designs Away in a Manger set, just released Dec. 1. 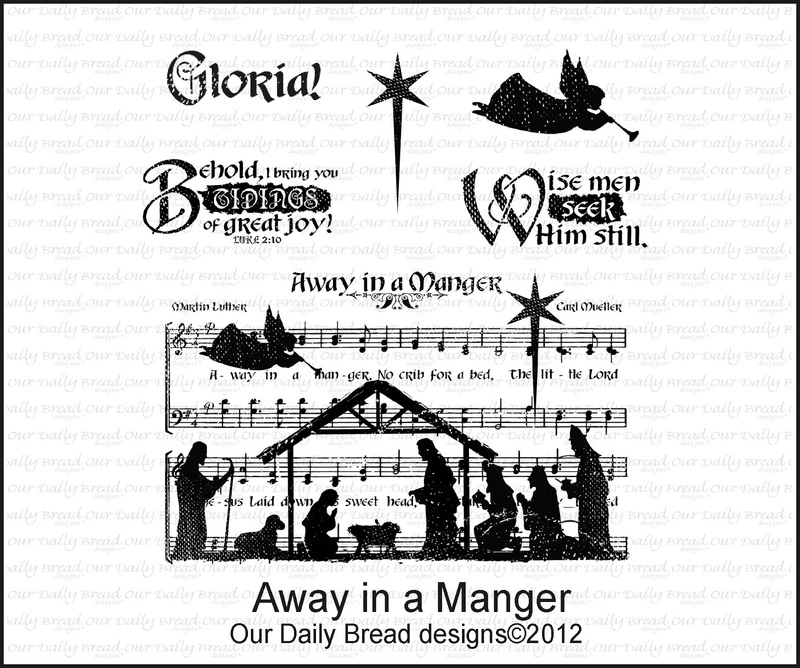 Love the image designed by Michelle Laycock... with it's slightly grungy effect, giving a feel of the humble circumstances of Christ's birth. I did however want to also focus on His royalty as well... for He IS the KING of KINGS, so I matted with brushed gold.I embossed my background with a wood bark folder by Darcy (ACMoore). I used Spellbinders Labels 21, 10 and Fancy Framed Tags 2, and Cross Collection for my die cuts, and a tiny gem stone in the center of the star which I stamped and hand cut to add to the cross... depicting that the Light of the World who came to earth in such a miraculous way... was born to die... and that was for you and for me, that we might be forgiven of our sins, live in fellowship with Him, and because He rose from the dead, we also have the assurance of eternal life with Him in heaven, if we will receive this precious gift given. Trusting this JOY fills your Christmas season! This is absolutely gorgeous, Grace! Wonderful colors, stamps and dies! Hope you are well! Hugs! You have created a very tranquil and classically elegant card. I really like your color choices and the way you framed the image. 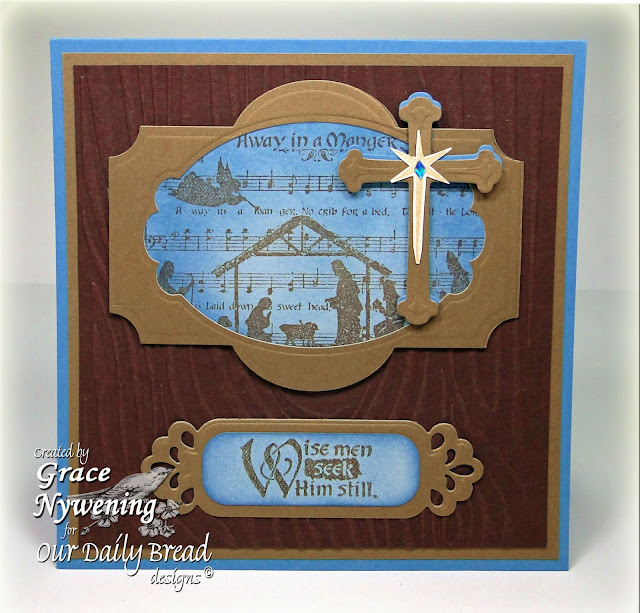 such pretty framing and use of all the dies, the cross die is such a great touch! Beautiful card Grace - and you are so right - Christmas is not complete without Easter! WOW! Love your card description more than the card!! So well said, love your message!